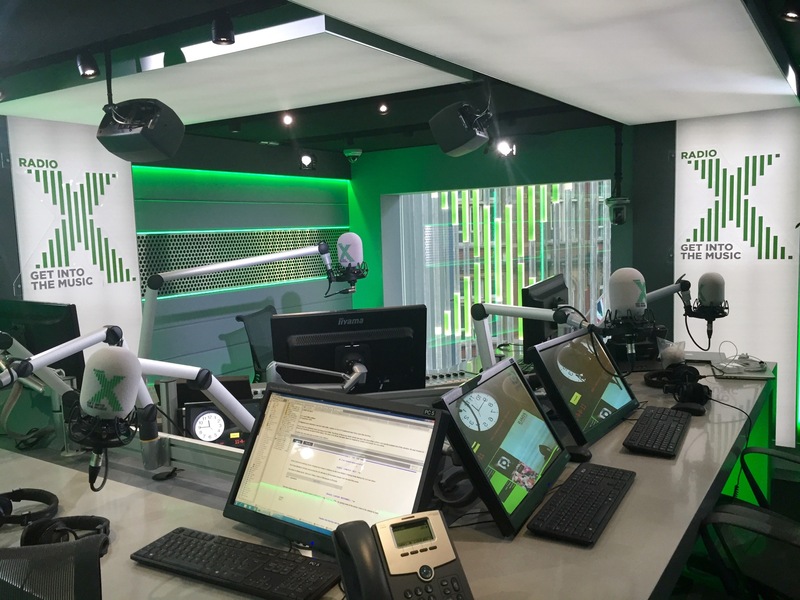 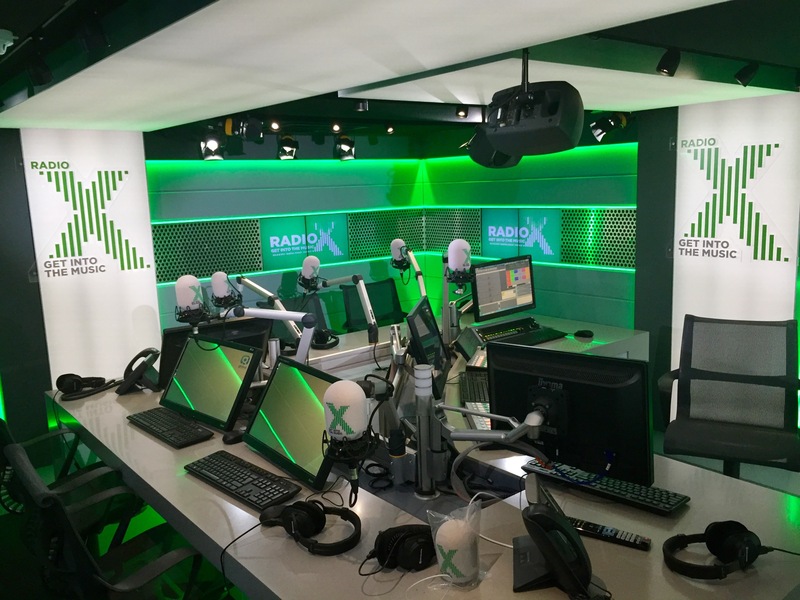 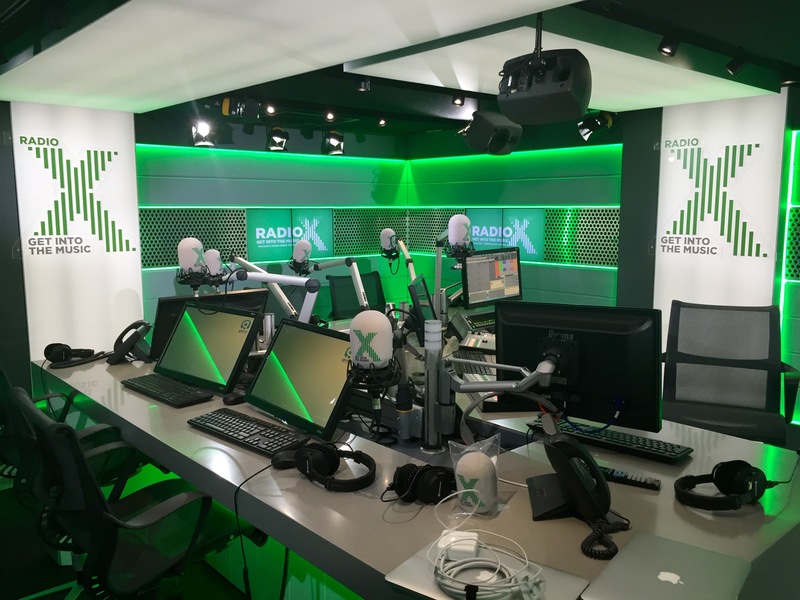 This project was part of a rebrand from XFM to Radio X by Global Radio. 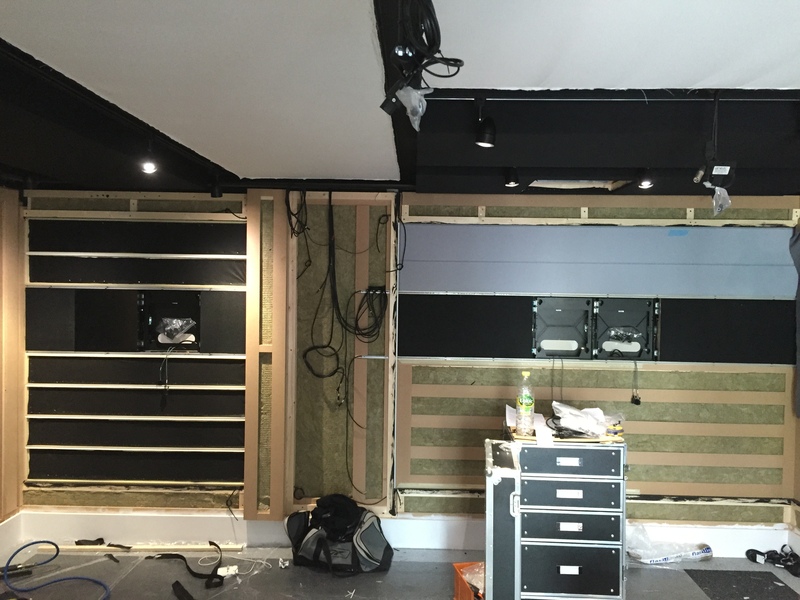 We worked closely with studio builders Transmation to achieve the desired end result. 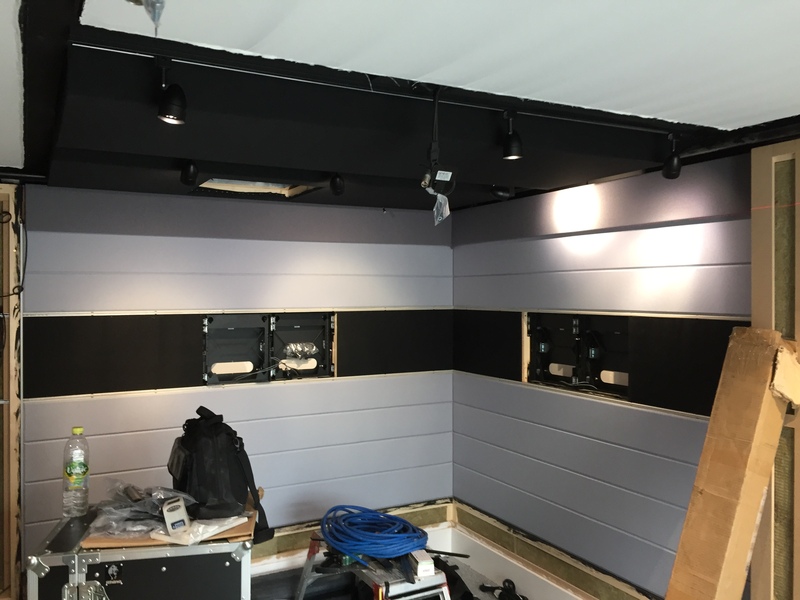 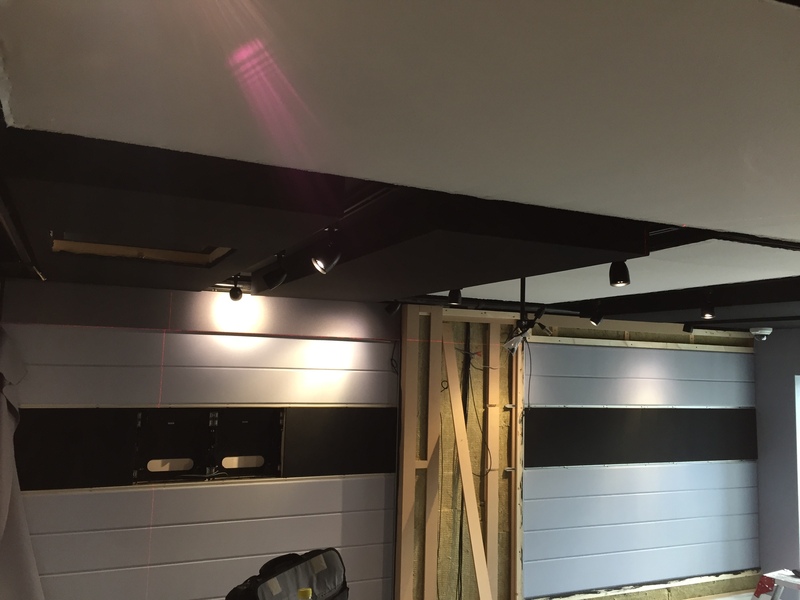 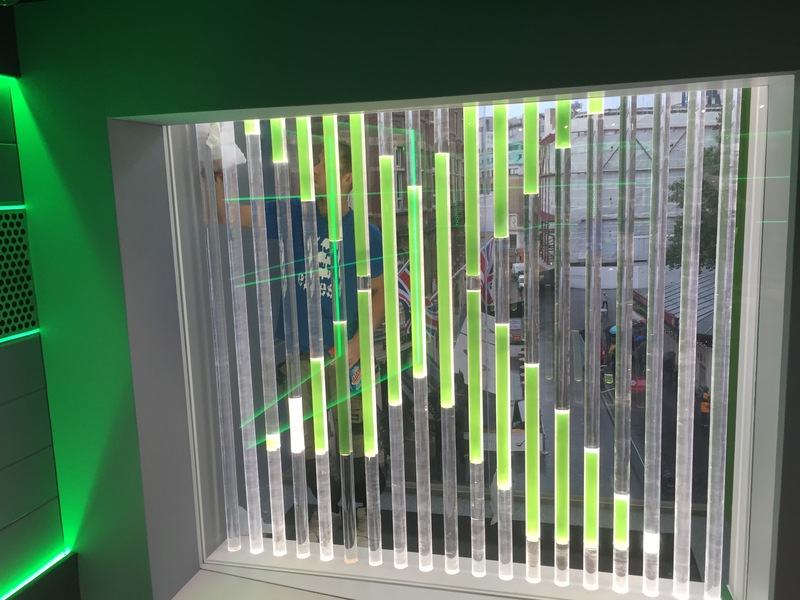 Our Bevelled edge tracking system was fitted to all wall areas to form horizontal panels. 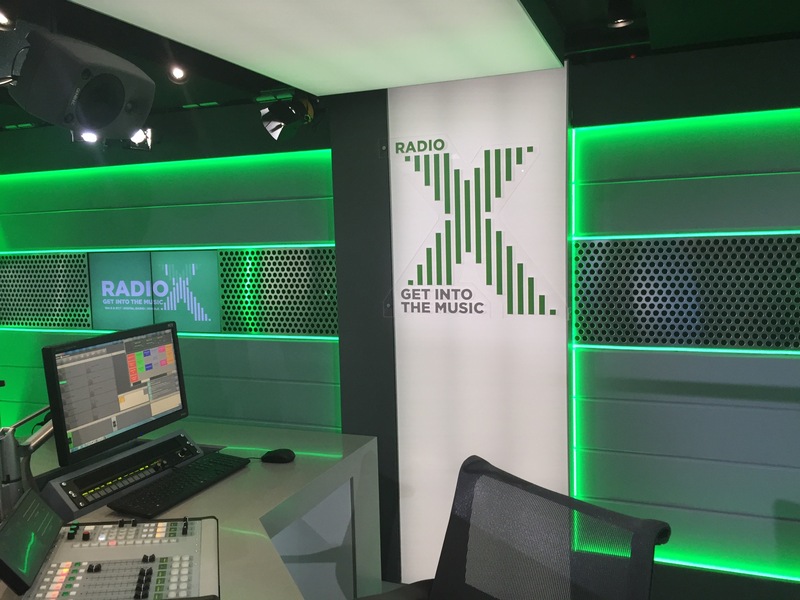 Our lining fabric was then fixed over the acoustic treatment and the acoustically transparent fabric stretched and fixed into place. 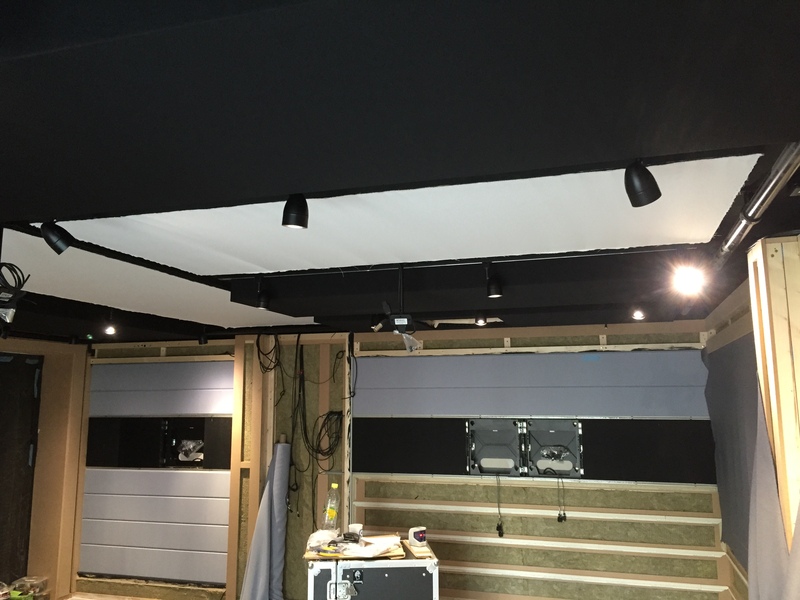 There were also some ceiling panels that required our stretched fabric system.